Last month I was writing a post why it is not a good idea to jump onto the Bitcoin train immediately. When I saw BTC shooting up this typical exponential curve to $200+, I was immediately remembered of the Dot-Com stock bubble, the following real estate bubble, and the gold bubble for that matter. Price is something very relative. An old school economist would say that price is cost plus margin, whereas margin is predetermined. But price is really what purchasers are willing to pay. There is the phenomenon of an asset bubble where the underlying value of an asset, the cost, or the use somebody gets out of the asset, is much smaller than the actual price people are willing to pay. Alan Greenspan calls such conundrum in his famous words Irrational Exuberance. Such events usually are happening if people feel euphoria that when they purchase the asset, they will even get wealthier down the road with little to no risk. In fact automated trading systems are programmed in a way to watch and react on what other do, which again might loop in itself. However, the crowd can also within an instance change polarity. Bubbles tend to deflate much faster than the time it took them to form. And they usually do not just because startups became redundant, or people move from homes into caves, or Bitcoins all the sudden do not matter anymore, it is just because the flog of speculators moved on to the next shiny object. We have witnessed such euphoria with Bitcoins in recent weeks. From under $30 to the beginning of the year, to over $200 in April and now down to a bit above $100. There is a clear element of a bubble here. However, small markets, and Bitcoin is still a relatively small market, tend to react much stronger than larger market because of the volume of transactions in relationship to its market value. Small caps are much more volatile than Fortune 500s for that reason. Due to the fact that money supply is mined and eventually stops, we can say that the Bitcoins of today will buy more tomorrow if we also assume that Bitcoins adoption increases more than its money supply grows. This in a way is reverse inflation, or deflation. Deflation for a fiat currency is usually a “bad” thing as it motivates individuals to hold on to money, instead of spending or investing it in the economy. I am pretty convinced that some people will follow the same thought process and will be holding on to Bitcoins and keeping them long-term – as soon as we figured out security issues around wallets. But, I see Bitcoins less so as a competing currency, or a medium of storing wealth, but more as a vehicle of transaction. Hence, whether it inflates or deflates has little impact on the actual economy, which makes the whole discussion about its monthly exchange rate deltas overblown from a practical perspective. With Bitcoins, something much more dramatic is happening. It is the first payment method entirely crowd controlled, without the mingling of a middleman. If you buy for instance an airline ticket with British Airways, living in the US, you are paying a 3% credit card transaction fees, calculated into the price of your ticket, plus an additional 3% foreign transaction fee, billed to you, even if the ticket price is in dollars. 6%, this is huge. Think about which difference 6% make in international trade, e.g. between China and the US. 6%, it is like a customs fee, a penalty to do international business. This is the area I think which BTC will solve. The Dot-Com bubble popped, but dot-com companies are still alive and kicking and an important part of our economy. I think the volatility we witnessed in Bitcoins is a reflection of the increasing attention it gets, while at the same time the volume is alike to a very small cap market. High volatility is simply natural and will eventually decrease as more people start using Bitcoins. It is an issue which will solve itself, though on the short run, we still need to develop instruments to address it, e.g. by hedging or instant money exchanges into traditional currencies. In my opinion, the justification for Bitcoins is there, alone because of disrupting traditional money transfer and dramatically decreasing cost and fees for vendors as well as customers. 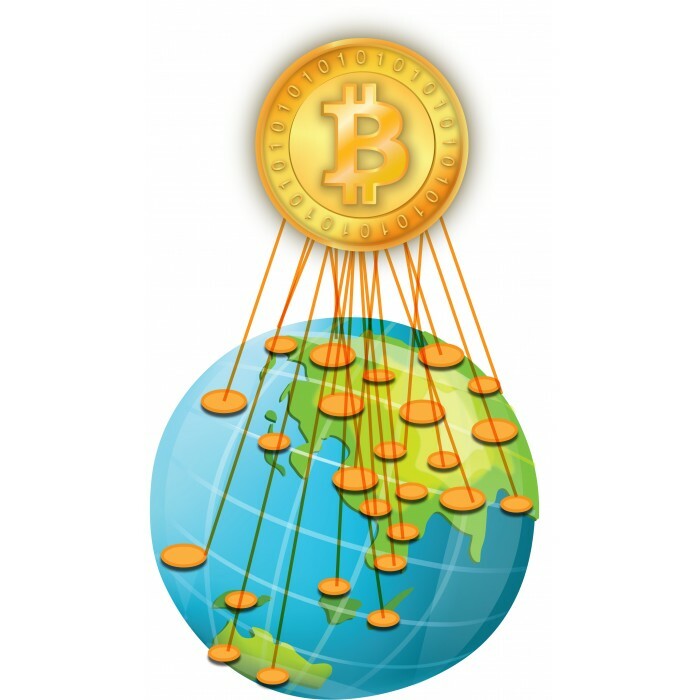 Bitcoins will do to international trade, what free trades zones did to global commerce – catalyst to wealth building around the globe. However, the much more important problems to solve than a jumping curve on a chart, which gets all the attention right now, is usability and security from theft. If those two main issues are not resolved, Bitcoins will not win a wider adoption. Only if my grandma understands how to do a purchase using Bitcoins, and feels save that she cannot get robbed by clicking on the wrong link or opening the wrong attachment, we will see an instant increase in adoption. Be part of the tech map and find startups, developers and creatives in your city! join us here. Previous What are the Key Factors keeping you from becoming a successful Entrepreneur? I would agree. Bitcoin is great as a medium of exchange but as a store of value they are lacking. Specifically, the risk of hacking, loss, systemic failure, regulatory attack are too volatile for storing value long term but if a robust enough economy can develop that uses Bitcoin as its primary medium of exchange, it will flourish.